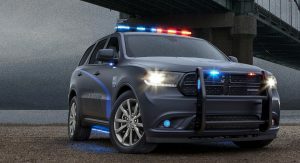 Dodge has just unveiled its Police Pursuit version of the 2018 Dodge Durango, the brand’s latest addition to its fleet of police vehicles. 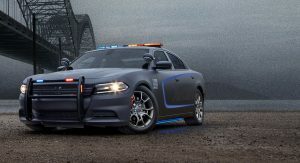 Like the Dodge Charger Pursuit vehicle used across the United States, the 2018 Dodge Durango Pursuit is also powered by a potent 5.7-liter V8 engine delivering 360 hp and 390 lb-ft of torque. 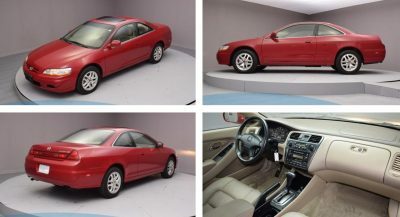 This engine is coupled with an eight-speed automatic transmission and an active all-wheel drive system. The Durango Pursuit also includes a two-speed transfer case when the need arises to go off-road. 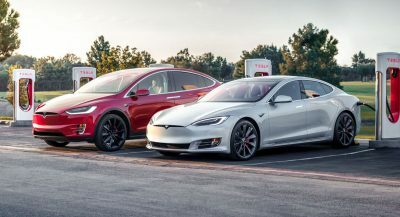 Additionally, heavy duty anti-lock brakes have been fitted, allowing the SUV to brake from 60 mph to zero in 134 feet. A plethora of other features are sure to please police officers. 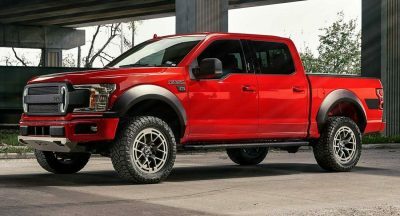 For example, the SUV includes Tri-Zone interior temperature control that’s perfect for K-9 units, a heavy duty oil cooler and water pump, eight-way power adjustable seat controls and a ParkView rear backup camera with ParkSense alert. That’s not all as the Durango Pursuit also offers 7200 lbs of towing capacity. Fiat Chrysler Automobiles says it was encouraged to build the Durango Pursuit after its strong performance at an evaluation event in Michigan. 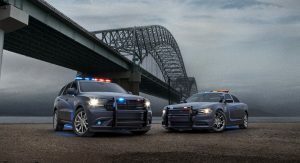 “Unofficial testing results at the Michigan State Police 2018 model-year vehicle evaluation event created such a stir among law enforcement agencies that we simply had to find a way to build this vehicle,” head of Passenger Car Brands for Dodge/SRT, Chrysler and Fiat – FCA North America, Steve Beahm said. Getting ready to knock off the Charger (and 300 and Challenger too). The Americans are getting fatter and fatter.. Now they need what we call fullsize SUV in Europe as a police car? 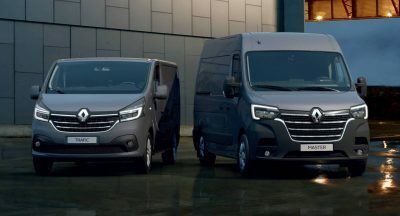 They can’t fit in the back? Fuuck.. And Europe still uses Ford Focus as police cars…How would a American tourist fit in that! Couldn’t have said it better myself. I’ve even seen a few Grand Cherokee’s as police vehicles. Ruling the world gets boring, so we eat to kill the time. Yep, heading to both Arbys and McDonald’s drive thrus as we speak. All I ever see are Explorer and Taurus pursuit vehicles. Every once in awhile I’ll see a Charger or Caprice. Yea it really depends on where you live. I live in Philadelphia and the only time I see a caprice is in New Jersey. I saw a local Police Durango the other day. I was surprised because I didn’t know they had them. 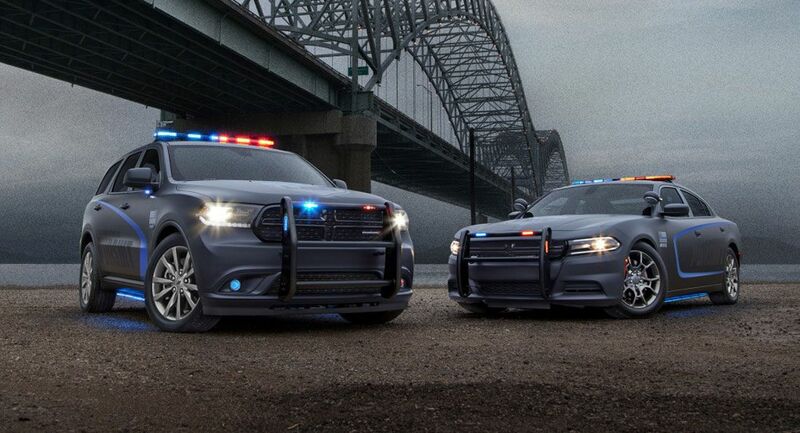 I’m surprised it took FCA so long to figure out the obvious: There’s probably no better suited SUV for pursuit duty. 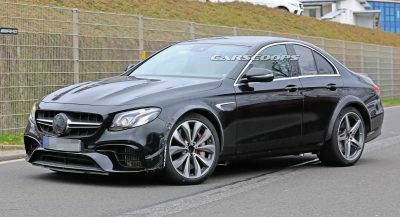 Why they didn’t offer this over half a decade ago just boggles the mind..
Shame. Chargers are badass. Looks like a killer whale.